Join us to make a Christmas favourite in my house and learn two new techniques! 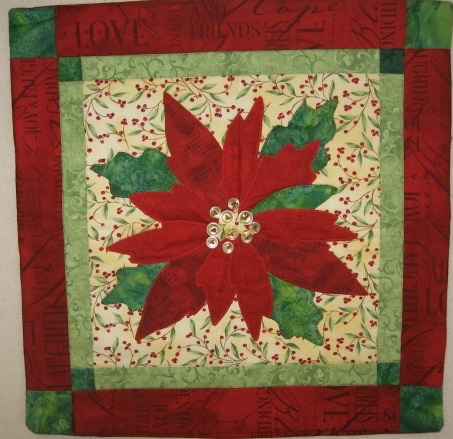 In class, over two sessions you will learn how to make a pillow & create the poinsettia using machine applique technique. Suitable for a beginner quilter. 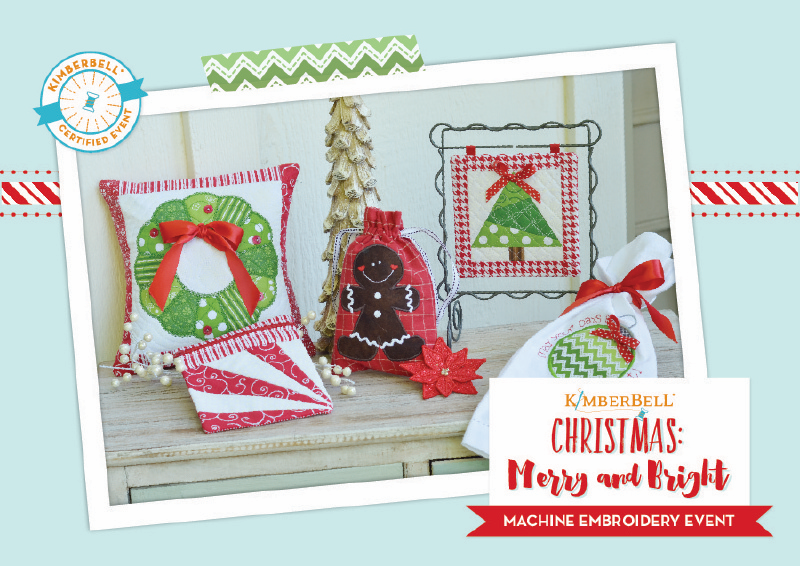 Our Kimberbell event is a great way to have fun and get to know machine embroidery. This event is suitable for the beginner all the way to the most advanced embroiderer, you can even test one of our embroidery machines if you don’t have one. In this event you will learn: single-hoop embroidery on a ready-made article, multi hooping, piecing in the hoop, how to install a zipper, embroider a quilted design and so much more. During the 2 days you will make and finish 6 embroidery projects all in the hoop. 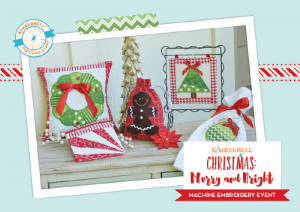 Included with your Kimberbell event, you’ll receive an exclusive sewing bag completely filled with Kimberbell fabric, paper tape, ribbon, buttons, and more to make six amazing event projects. We’ll even cut the stabilizer for you! You just need to come with your machine and a few basic supplies and be ready to have fun. We will even provide lunch. 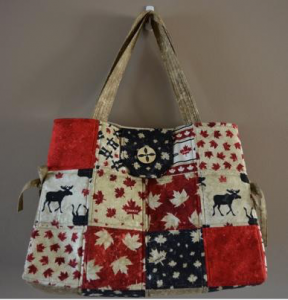 Have you ever wanted a bag that you can pack your quilts in or to carry all your supplies for a class? If so, join us to make this versatile bag back by popular demand. It is created using charm squares or 5” X 5” squares from your stash and with Soft & Stable as batting that enables the bag to stand nicely. Suitable for a confident beginner with basic quilting skills. 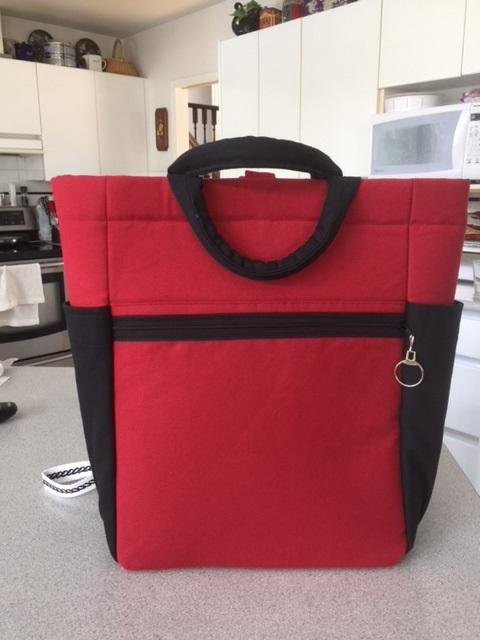 This handy bag/ backpack can be used as a diaper bag or everyday use backpack. Life is busy, why tie up your hands carrying a bag when you can use a backpack! 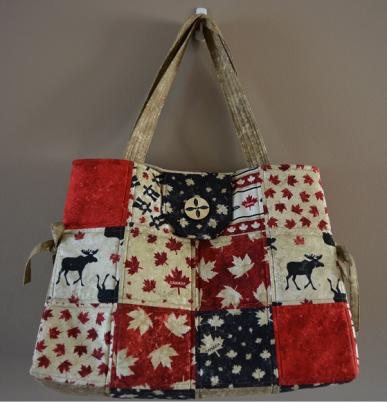 This beautiful bag finishes at 16” high x 12” wide x 6” deep and can be worn as a backpack or hand carried. The project features two different presser feet: Open Toe Satin Stitch Foot and Zipper Foot, as well as the AcuFeed™ Flex Fabric Feeding System. 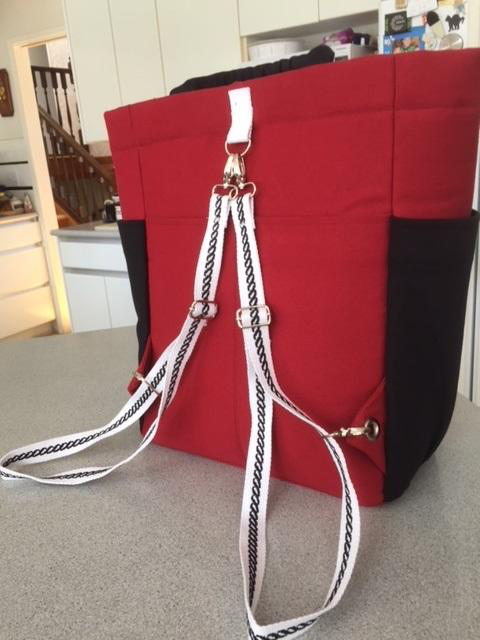 In class you will learn to create adjustable webbing straps with decorative stitching accents, an inset base, corded handles, an exposed zipper pocket, and a ripstop lining with flat and elastic pockets. We will also work with an assortment of professional hardware. The bag has 5 exterior pockets, 5 lining pockets and adjustable straps that are removable. Want it? Make it! Join the Sew4Home Maker’s Club today. Available only at participating Janome Dealers. This entry was posted in Classes and tagged Classes, New Classes, Upcoming Classes by admin. Bookmark the permalink. CLICK HERE To Return To The Tom’s Sewing Main Web Page. CLICK HERE To Sign-up For Tom's Sewing Newsletters and Sales Flyers. Creativ Festival Sale Starts Now! Copyright © 2019 Tom's Sewing Newsletter. All Rights Reserved.